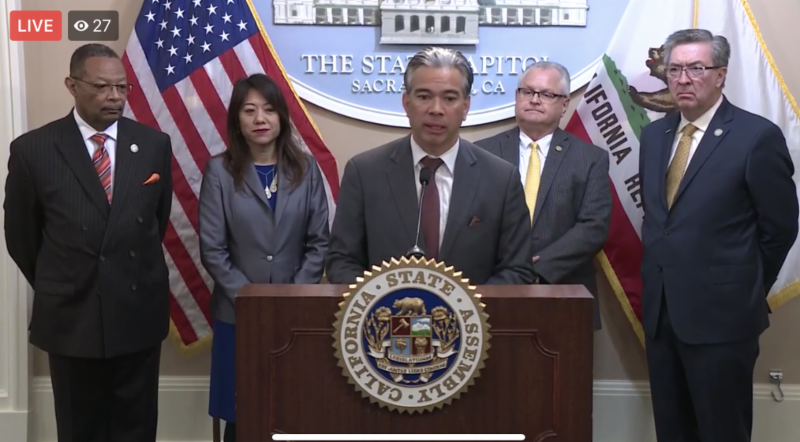 CA Assemblymember Bonta, Along With Assemblymembers Lackey, Cooley, And Jones-Sawyer As Well As State Treasurer Fiona Ma, Proposed A Bill Monday That Would Cut The State Excise Tax On Marijuana Sales From 15% To 11% For Three Years And Suspend The Cultivation Tax Of $148 Per Pound During That Period. The Sacramento Bee (January 28, 2019) It soon could get a little cheaper to grow and buy legal marijuana in California. California lawmakers announced a bill that would temporarily reduce or eliminate two cannabis taxes in an effort to help fertilize a newly legal industry that they say is having trouble competing with black market operators. The bill would reduce the state’s 15 percent cannabis excise tax to 11 percent and eliminate a cultivation tax a that growers pay for three years. Assemblyman Tom Lackey, R-Palmdale, also supports the bill. He noted that state revenue from cannabis taxes came in about $100 million below what Gov. Jerry Brown’s office projected last year. The state collected $84 million in revenue for fiscal year 2017-18, and projects to receive $355 million in 2018-19 and $514 million in 2019-20. CNBC (January 28, 2019) A bill was introduced Monday in the California legislature that would give legal cannabis businesses a tax break to help them thrive and better compete with the underground market. Assembly Bill 286, dubbed the Temporary Cannabis Tax Reduction bill, would temporarily cut state excise taxes for legal marijuana retailers from 15 percent to 11 percent and also suspend cultivation taxes altogether through 2022. Supporters say the current taxes and costs that legal cannabis businesses face make for an uneven playing field with competitors from the grey and black markets. New Cannabis Ventures (January 29, 2019) The fourth quarter of 2018 was notable as states like Connecticut doubled their dispensaries from nine to 18 while Oklahoma went on a spree issuing 162 caregiver, 805 dispensary, 1,302 grower, and 341 processor licenses by year end. In comparing licenses issued by activity, many categories almost doubled like distributor at 198%, manufacturer at 188%, and cultivator at 178%. Retailers only increased by 58% and testing labs by 68%. BisNow (January 28, 2019) Building owners who rent out their property to the hundreds of unlicensed cannabis businesses in the city of Los Angeles might soon face fines of $20K a day, have utilities shut off, doors padlocked and be subject to other enforcement measures. This is the only way for the struggling cannabis industry to fully flourish as a legitimate business in the city, a city of Los Angeles official said. California has a duel licensing structure to operate a cannabis business, meaning the business owner needs approval from the city before it could receive a license from the state. North Bay Business Journal (January 28, 2019) About a month after California declared a much-sought-after public bank for the cannabis industry too risky, North Bay Credit Union of Santa Rosa announced Monday it has been handling related financial transactions for about a year. The decision to work with cannabis growers and suppliers now that California voters approved recreational use of the drug in 2016 carries a risk of federal regulation and potential legal action, credit union CEO Chris Call said Monday. While most federally regulated financial institutions are reluctant to openly do business with the cannabis industry, there have been suggestions that a public bank, owned by public officials and under state government control, be created to handle the business. The Union (January 28, 2019) Public comments about cannabis range from carbon dioxide enrichment to odor control. Forty-two such comments were submitted in advance of Nevada County’s draft environmental impact report — a document needed for the passage of a permanent cannabis cultivation ordinance. That draft report, which took months to prepare, is now available for review. A series of meetings, along with another public comment period, will occur over the next several weeks. The process is expected to culminate in an April meeting of the Board of Supervisors, which will vote on approving both the environmental report and a new grow ordinance. Pasadena Star News (January 28, 2019) The Kind Music Festival, scheduled to take place in Desert Hot Springs on Feb. 23, may describe itself as a festival that “embraces cannabis as a legalized recreational product,” but festival officials have confirmed that event visitors will not be allowed to light up or consume marijuana at the event. There had been some question about that since the festival was announced in December. Though the festival immediately made clear that there would be no marijuana sales at the event, it was less clear whether people could consume their own. Forbes (January 28, 2019) William Barr, President Trump’s nominee to serve as the next U.S. attorney general, made headlines earlier this month when he pledged during his Senate confirmation hearing not to “go after” marijuana companies that comply with state laws. Now, in response to written questions from senators, Barr is putting that pledge on paper, in black and white. He’s also calling for the approval of more legal growers of marijuana for research, and is acknowledging that a recent bill legalizing hemp has broad implications for sale of cannabis products. Vox (January 28, 2019) The Trump administration’s war on marijuana legalization may soon end. A year ago, the Department of Justice, under the leadership of Attorney General Jeff Sessions, made a move widely interpreted as a signal to federal prosecutors and other law enforcement officials to crack down on cannabis — and marijuana businesses — in states that had legalized pot: It rescinded guidance issued during Barack Obama’s presidency that allowed states to legalize pot without the threat of federal interference even as marijuana remained illegal under federal law. Campaign Live (January 29, 2019) The most well-known chemical component of marijuana is Tetrahydrocannabinol, or THC. This is the chemical that gets users high. CBD, or cannabidiol, provides many of the medical benefits without the psychoactive effects. We’re nearing the tipping point of legalization at national level, and CBD is primed to be not just a massive disrupter in health, wellness and beauty, but also potentially the product that helps rehabilitate marijuana’s image. Marketing CBD as a beauty or health-and-wellness product allows communicators to focus on the benefits instead of spending time and energy fighting inherited attitudes about marijuana. THC-heavy marijuana is an intoxicant. Consumers treat it like cigarettes or alcohol at best and, the vast majority and laggards still won’t touch it. It’s a vice. News Times (January 28, 2019) Cannabis tourism has come along way. The idea of being “hotboxed” on a smoke-filled bus with a stripper pole and a group of strangers is far from the ideal experience for both new and seasoned cannabis users. As the cannabis industry grows so does the expectations for high-quality goods and services — and the possible eradication of hotboxing altogether. In legal states like California and Oregon, there is a growing interest in cannabis use in social settings and in various discreet cannabis offerings. The new cannabis tourism allows room for both to co-exist. Cannabis companies have the potential to be the vehicle that drives the cannabis culture forward, creating experiences that shape the perceptions of the cannabis consumer and shift conversations across state lines and internationally. 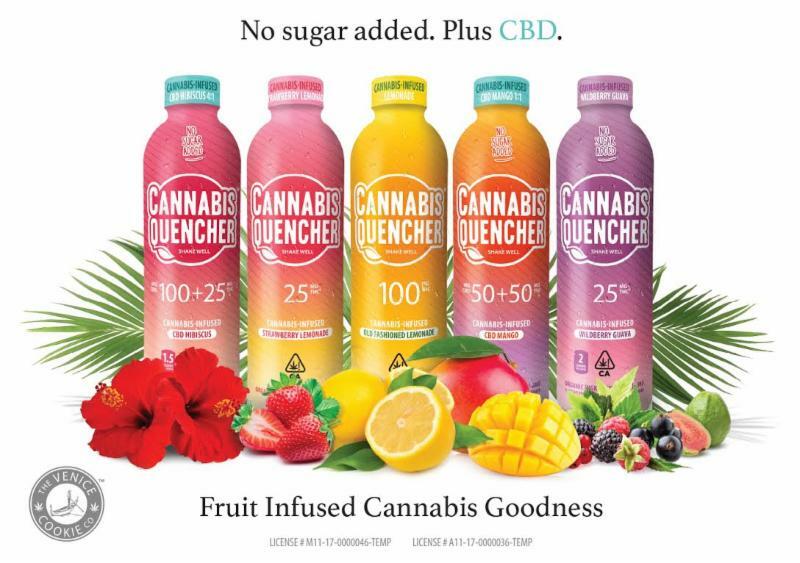 The Denver Post (January 27, 2019) America’s cannabis companies are racing to build national brands and market their wares to mainstream consumers. There’s just one problem: It’s hard to advertise your product when the federal government considers you a drug dealer. With a growing number of states legalizing weed for recreational and medical purposes, the U.S. market could surge eight-fold to $80 billion in sales by 2030, according to Cowen & Co. But it’s hard to see that happening unless companies can market their wares the way beer and liquor companies do. After decades of prohibition, many consumers need a push to give marijuana a try.